Who is the Man of Sin of 2 Thessalonians 2? Who is the man of sin, the son of perdition, that the the Apostle Paul wrote about? Various ones in and out of the Church of God have their views. But are most of those views based on the word of God or traditions? We need to look to the Bible to see. This end time 'man of sin' will be a major player exalts HIMSELF above all that is called God. Well, from what the Apostle Paul wrote, at least one clue is that he excessively exalts himself. Is this the King of the North of Daniel 11? Is this the Beast of the sea of Revelation 13? Is this the Beast of the earth of Revelation 13? Is this the False Prophet of Revelation 16&19? The Sea Monster and the Beast with the Lamb’s Horn. Here is a link to a related sermon video titled: The Man of Sin will deceive most ‘Christians’. It is certainly not a biblical one. This ‘man of sin’ identity is a doctrine that most groups once part of the old Global Church of God (GCG) have wrong. The top leadership in CEG came from GCG. Anyway, the man of sin is the ‘beast” and not the false prophet. Those in CEG, LCG, RCG, etc. really need to pay more attention to the scriptures related to that. Furthermore, groups such as COGWA, PCG, and UCG also have the identity wrong. This is clearly the False Prophet of Revelation 16:13, not the Beast. In verse 8, Paul revealed that the “lawless one”—who obviously has various religious teachings that in fact do not involve obedience to the Ten Commandments—will be revealed, “whom the Lord will consume with the breath of His mouth and destroy with the brightness of his coming. The coming of the lawless one is according to the workings of Satan, with all power, signs, and lying wonders” (vv. 8-9). So no local “apostasy” in any church or small group of churches could possibly fulfill this awesome prophecy—and certainly not without the one who is in charge showing great power, signs and lying wonders. 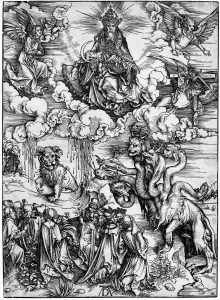 On multiple occasions from 2008-2012, I sent Dr. Meredith detailed biblical information explaining why the man of sin was not the second beast of Revelation 13, and until I saw the above, I never really received a negative response from him (though he had previously published older information with a similar position). Instead two leading LCG ministers (including at least one LCG evangelist) told me I was right about this. It is absurd that Dr. Meredith's April 17, 2013 letter suggested that if one does not agree with the conclusion that the false prophet is the "man of sin" of 2 Thessalonians 2, then one does not understand prophecy. Dr. Meredith also called knowledge of this chapter VITAL. But is the man of sin the false prophet, the second beast of Revelation 13, or not? No, it is not, thus those who follow LCG (or CEG or RCG or COG-ff) are not following leaders that understand this element of biblical prophecy. In an October 11, 2013 item, LCG appeared to be pushing what seems to be an attempt to justify its 'falling away' position, which though a heretical change, essentially has been claimed to acceptable be based upon its interpretation of mainly tradition (see The Falling Away: The Bible and WCG Teachings). In at least two areas of 2 Thessalonians 2, LCG DOES NOT UNDERSTAND PROPHECIES IT CLAIMS ARE VITAL. Interestingly, in his heretical The Falling Away sermon (recorded on June 1, 2012), Dr. Winnail taught that the Beast, the King of the North, may be the son of perdition in 2 Thessalonians 2. Yet now it seems that since the late Dr. Meredith clearly settled on another position, and LCG is sticking to that error. Dr. Meredith appeared to be relying on tradition instead of the Bible for his church's teachings on the identity of the man of sin. Relying on improper tradition over scripture is not something that religious leaders are supposed to do per Jesus (Mark 7:8-9). So, some have speculated that Antichrist had become the popular terminology for what this prophesy was talking about. In fact an interesting prophecy over in of 2 Thessalonians chapter 2 talks about this. It says, "Let no one deceive you by any means; for that Day"--talking about the Day of Christ's return--"that Day will not come unless the falling away comes first, and the man of sin is revealed, the son of perdition…who opposes and exalts himself above all that is called God." The Adam Clarke Commentary describes this “man of sin” in verse 4 as “having the highest place and authority in the Christian Church, he acts as God—taking upon himself God’s titles and attributes, and arrogating to himself the authority that belongs to the Most High” (note on 2 Thessalonians 2:4). God reveals that prior to the return of Jesus Christ many will be deceived by this coming individual and the false religious system that is behind him. Speaking of the time just before the return of Jesus Christ, the apostle John wrote, “Little children, it is the last hour; and as you have heard that the Antichrist is coming, even now many antichrists have come, by which we know that it is the last hour” (1 John 2:18). . . .
“The man of sin” who, with Satan’s help, will perform miracles to deceive people prior to Christ’s return (2 Thessalonians 2:3). “Another beast coming up out of the earth” (Revelation 13:11). “The false prophet” who will deceive earth’s inhabitants to fight against Christ when He returns (Revelation 16:13-14). But these, like the position of LCG and the earlier position of RCG, appear mainly to be based upon tradition. I perhaps should mention that Aaron Dean, who is with UCG and on its Council of Elders agrees with my position on this that the 'man of sin' here is the Beast, the final King of the North, and not the false prophet as he has told me that personally. Mr. Tkach was an innermost disciple—more so than other Church leaders—in those last seven years of Mr. Armstrong’s life. The leadership discussed in 2 Thessalonians 2 must be in Pasadena today (Flurry G. Malachi's Message. 1990, 1995, p. 99). Gerald Flurry was referring to the Tkach Administration of the old Worldwide Church of God. This is wrong for many reasons, including the fact that J. Tkach , Sr. died without Jesus' return which is when the 'man of sin' is eliminated per 2 Thessalonians 2:8--nor have any members of the Tkach Administration been accompanied by the type of signs and lying wonders that the 'man of sin' would be. More on PCG can be found in the article Teachings Unique to the Philadelphia Church of God. 2 Thessalonians 2 records a spectacular end-time event in God’s Church. There is nothing like it in all the previous history of the Church! “And now ye know what [restrains] that he might be revealed in his time. For the mystery of iniquity doth already work: only he who now [restrains] will [restrain], until he be taken out of the way” (verses 6-7). God has given the Philadelphia Church of God amazing understanding about this verse. On Jan. 16, 1986, a man was taken out of the way. From time to time, God reminds us how important the anniversary of that day is. We can read these scriptures and point out the specific individuals they refer to. What other church can do this? “And then shall that Wicked be revealed, whom the Lord shall consume with the spirit of his mouth, and shall destroy with the brightness of his coming” (verse 8). Verses 3-4 say the man of sin will be revealed, but verse 8 specifically says this Wicked (Satan) will be revealed as well. When I sat listening to those words during the deposition, I didn’t understand what those lies were all about. But God later revealed to me what it all meant. God always has to reveal these truths to us. “For the mystery of [lawlessness] doth already work: only he who now [restrains] will [restrain], until he be taken out of the way” (verse 7). That “mystery of lawlessness” was there before the man of sin came on the scene. Revelation 3:7-9 call it the synagogue of Satan. The devil was plotting and planning even while Mr. Armstrong was alive. He inspired and directed a group of people to get ready to take over the Church of God. And he succeeded! 2 Thessalonians 2:8 shows that the work of Satan will be destroyed, but verse 9 reveals that, first, the man of sin will have “all power and signs and lying wonders.” This is what Joe Tkach Jr. said about me! What a lying wonder! It came right out of 2 Thessalonians 2. Like false prophet Ronald Weinland, Gerald Flurry is much too much into allegory. Whether or not Joe Tkach, Jr. lied, this does not qualify as the "signs and lying wonders" that the Apostle Paul was warning about. And while many COGs do not understand who the 'man of sin' in 2 Thessalonians 2 is (and because of this they will not understand certain end time prophecies), Gerald Flurry may have the most absurd explanation of his alleged identity. Those in the splinters ... There are thousands of them, brethren, who are in the splinters, who have the Holy Spirit. They’re not going to follow this man, and they’re the ones that are going to come back to God’s Church. I’ll have a lot more to say about them, in a way that will simply stun you—stun you. They’re going to escape, but not until they go through fire. Let’s be clear ... (II Thessalonians 2) verse 12, those who follow him are damned. They are condemned. I didn’t say that. God does. Why? Because they “believed not the truth, but had pleasure in unrighteousness.” You cannot be saved if you follow a Satan-possessed, blaspheming, false Christ. Who knows? Maybe he says he’s God the Father. There’s a guy in Rome that calls himself the Holy Father. It’s not shocking that a human being might say that. Do you think the devil would need to be coaxed to enter a man among God’s people, in a way no man has ever done in 2,000 years—that we could ever see? Do you think the devil would have to be coaxed to do that? He’d be like a dog on a chain with his front legs off the ground, straining to snap the leash to do it! God could probably just snap His fingers, and the devil would enter this man and knock him over when he did, so to speak. This is easy for God to do. We serve the God who can change out the universe with a bang. It’s easy for God to do. He has a purpose in it. It also draws tremendous attention to His Church in a right way. He raised up Joe Tkach to cause the apostasy. Without that, this man can’t rise out of it. Surely, brethren, we believe that He can raise up a man out of it to carry out the last part of it. This is a change from his earlier positions, which had been based upon improper tradition. In my view, the Bible makes David Pack and his covetous out as a blasphemer (2 Peter 2:1-3). To conclude that those who follow the man of sin overlooks the fact that following the man of sin IS not 'unpardonable' (see What is the Unpardonable Sin?) --God has a plan for those who are deceived (see Universal OFFER of Salvation, Apokatastasis: Can God save the lost in an age to come? Hundreds of scriptures reveal God's plan of salvation), and the man of sin is a deceiver. David Pack originally claimed to stand for 'precision of doctrine' has totally flipped to a view closer to PCG on the man of sin (see also Who is the Man of Sin of 2 Thessalonians 2?). David Pack is warning that thousands will follow someone in another COG group. Thousands have came to the Continuing Church of God over the past 4 years (see CCOG reports 1900 attended its festival sites and has a total membership of over 2200). The Man of Sin comes with some unique problems, in a way, that I want to clear up. Think of what could be called the “effective counterfeit” principle. The more effective he is as a counterfeit, the more people can be sucked into following him. There’s no excuse to follow him, because what he teaches is against God’s Law. But claiming to be Christ, as a man, of and by itself, is not wrong. It’s what he says. He’s lawless and his power is Satanic, but think of the “effective counterfeit” principle for a moment. When Christ walked the earth, he was 33-and-a-half years old—some old leader in the splinters isn’t going to fit the bill. The older the man is, the more likely ... I mean, God could use anybody to be the first two wizards that introduce him. They can be older men. The wizards can have one résumé, if you will. The Man of Sin has to have another—younger, cleaner ... Ready? Single. You probably can’t have him stand up as a married Christ. I’ll bet none of you ever thought about that—is the Man of Sin married? How could a married man, brethren, ever claim to be Jesus Christ—never mind if he had children who would thus be half-gods. You know, Hercules, and they’d be Mercury, whatever else. Do you see my point? There seems to be no way this man can be married, or probably have ever been married, and claim to be Jesus Christ. Never mind have children who, forever after, would sort of be ... you know, come from the messianic line when he was Christ. That would have been a problem in the first century. We’ve talked about that many a time. It was more than Christ didn’t want to just leave a widow. That would have been one problem. Or He would have left orphans. That would have been another, but they would have been born of God! Theoretically, we could say His kids would have been one-quarter God, half from Him and none from whoever had been His wife. The fact that he is a single man, perhaps in his early 30s, introduces another possibility about why is he single. There is quite a powerful case behind that that would take longer to explain. I don’t want to get into it, but some of you may guess what it is. I’d like to do that in its own time and place, so we’ll just leave it at that. But he is going to have to be a single man, who got there into his thirties. Why he’s single is a different discussion, but that’s all we’re going to cover now. There’s probably more to the story, maybe much more to that story, but no time for it now. So, the Man of Sin has to be a younger man. The older he is, the more he comes with a résumé that could be suspect—that’s subject to fact checking. You see my point? I’m trying to illustrate something here, because some more things have come clear. Young, single, clean…Does he have brothers and sisters? People can check up on him? Is this really Christ? This guy has to look like the real deal, and he does to such an extent that even the absolute perversions that come out of his mouth are not sufficient to keep some people, with God’s Spirit, from being fooled. It remotely could be that the idea that the 'man of sin' would be unmarried could be consistent with Daniel 11:37 and the King of the North, but David Pack did not cite that verse. His rationale is off. Nor do I believe that the man of sin will claim to actually be Jesus. Let’s suppose Mr. Armstrong knew about the rise of the Man of Sin. What would that have meant? Well, first of all, if you knew anything about the man, like I did, he would have raced to the nearest housetop, carrying the biggest bullhorn he had and warned the world with all the power he could muster. And if you doubt that, you will not doubt it at the end of this sermon, because THE MOST chilling things I have told you in the first 53 sermons come today--they started last week. But if Mr. Armstrong had begun to explore--and understood--all of what I’ve taught you about this man, and what I’m going to teach you today, it would have horrified him. . . Yes, David Pack, Herbert W. Armstrong would be horrified by you and many of your prophetic conclusions. No, David Pack, the man of sin is not a current Church of God member--the man of sin will be the Beast of Revelation, a political leader who is also described in Daniel 11. I hate to have to say this. I hate to have to tell some of you, your friends are going to be butchered like hogs, but they’ll come back up soon…very soon. That’s the good news. And we haven’t talked about exactly how they fit into the resurrection of the dead and it’s very exciting. I would like to comfort you with those words. But they will not come up in the reckoning; but they do come up into a special status. This video will be available, so I’ll just tell those in the splinters ... I’ll name them. If you’re in the Living Church of God, PCG, UCG, COGwa, and others—take heed. You’re being warned. Brethren of God, now you know why Paul didn’t stop for three years—with tears, warned everyone day and night. You got a better picture of why? Be warned. This man you seek ... Maybe you think I’m wrong or it’s a joke, or you don’t fear God or look at the Bible. If you’re in those groups or the little groups—he is coming for your throat! And unless you escape, he’s going to get there and he’s going to rip your carotid out as he tries to catch your jugular on the way out! That’s the way it’s going to be. If that makes me a cult leader, so be it. I believe God…I believe God. While the man of sin will kill Christians in the end times (cf. Daniel 7:25; Revelation 13:1-18; see also Persecutions by Church and State), this man of sin is a political leader, not a Church of God minister. David Pack has many, many errors. Because I’ve long believed … Over the year since I introduced the Man of Sin, I’ve long believed, now, that the leader of the Worldwide Church of God was a type. But he stood up on December 31, 1994 … Here’s what he did … in Atlanta and he gave a sermon … I got the tape, transcribed it—the whole thing…and he said, “The Law’s done away; the Sabbath’s done away; the Holy Days are done away; tithing, clean and unclean meats ... it’s all gone. It’s all Old Testament.” Everything—gone. And within about four months, 25,000 ... 23,000, something like that, had gone with United. It dwindled down later. More thousands came with Global, where I was. I was very involved. The King of the North IS the man of sin, hence he will not be in Jerusalem when the man of sin is gone. It should also be mentioned that the Bible teaches that the falling away happens BEFORE the revealing of the 'man of sin' (see The Falling Away: The Bible and WCG Teachings), whereas David Pack seems to hint otherwise. Like many, David Pack does not understand the prophecy of Habakkuk 2 which has to do with the USA that will be destroyed for greed and indebtedness. David Pack should have realized what Habakkuk 2:6-8 states as he recommended that his readers would read the entire chapter--those that do will realize that David Pack misunderstands it (check out Do you take seriously the warnings God had the prophet Habakkuk record?). There were many. many other ways that David Pack erred in that booklet. He continues to veer further away from the truth. Some of his errors are in the article Why Not the Restored Church of God? Some have pointed to the writings of the late Herbert W. Armstrong on this matter. Now notice the last battle of “the great day of God Almighty.” It is in Rev. 19:19-20. Here is pictured the beast —“and WITH him the false prophet that wrought miracles before him, WITH WHICH HE DECEIVED them that had received the MARK of the beast, and them that had worshipped HIS IMAGE. Note it! Compare with the two-horned beast of Rev.13:11-17. Thus, at least one time, Herbert W. Armstrong taught that “the man of sin” is the false prophet, he did not provide detailed rationale. However, he also noticed a lot of similarities between the Beast and the False Prophet. And I have not seen an in-depth analysis by him on this matter, and have reasons to believe that he was not certain. The above is very important as Herbert Armstrong realized that the man of sin wants to be worshiped as God in his book about the first Beast. Since the man of sin exalts himself above all that is called God (2 Thessalonians 2:3-4) and the second beast causes the world to worship, not himself but instead, the first beast (Revelation 13:11-12), the man of sin must be the first Beast. Please consider that Aaron Dean spent more time with Herbert Armstrong in his later years than anyone I am aware of in any of the COG groups. He told me that on some of the prophetic matters, Herbert Armstrong was simply not certain about them, and that there were some that he hoped to look at again. Although Aaron Dean said (4/19/13) that he did not recall Herbert Armstrong getting to this 'man of sin' matter, if he would have, Aaron Dean strongly felt that he would have accepted the biblical teaching that the man of sin in 2 Thessalonians 2 was the first, not second beast, of Revelation 13. Herbert Armstrong was not a prophet, so his prophetic teachings need to be understood in light of scripture (as do all teachings, even from a real prophet--see also How To Determine If Someone is a True Prophet of God). And that is good advice, and believing what the Bible actually teaches is something that all real Christians should do. 16 All Scripture is given by inspiration of God, and is profitable for doctrine, for reproof, for correction, for instruction in righteousness, 17 that the man of God may be complete, thoroughly equipped for every good work. (2 Timothy 3:16-17). So what does scripture teach? 13 And I saw three unclean spirits like frogs coming out of the mouth of the dragon, out of the mouth of the beast, and out of the mouth of the false prophet. 14 For they are spirits of demons, performing signs, which go out to the kings of the earth and of the whole world, to gather them to the battle of that great day of God Almighty (Revelation 16:13-14). 20 Then the beast was captured, and with him the false prophet who worked signs in his presence, by which he deceived those who received the mark of the beast and those who worshiped his image. These two were cast alive into the lake of fire burning with brimstone (Revelation 19:20). 10 The devil, who deceived them, was cast into the lake of fire and brimstone where the beast and the false prophet are. And they will be tormented day and night forever and ever (Revelation 20:10). The above verses do show the similarities that Herbert W. Armstrong claimed, such as both will have unclean spirits coming out of their mouths which perform signs. Yet, those do not really distinguish much between the ten-horned beast and false prophet (the two-horned beast). Nor have I seen a scripture-based explanation in any Radio Church of God/WCG literature that truly explains why that church felt this applies more to the two-horned beast than the ten-horned beast (though there may be one). 36 "Then the king shall do according to his own will: he shall exalt and magnify himself above every god, shall speak blasphemies against the God of gods, and shall prosper till the wrath has been accomplished; for what has been determined shall be done. 37 He shall regard neither the God of his fathers nor the desire of women, nor regard any god; for he shall exalt himself above them all. 38 But in their place he shall honor a god of fortresses; and a god which his fathers did not know he shall honor with gold and silver, with precious stones and pleasant things (Daniel 11:36-38). What Daniel 11:36-38 and 2 Thessalonians 2:3-4 say about this man is essentially the same. Notice also that the King of the North exalts himself above all the gods. This includes the god of fortresses, which (as I have long suggested) is apparently the Roman (Catholic) god. And this would also have to include being exalted above the two-horned beast of Revelation 13. 2 The dragon gave him his power, his throne, and great authority…. 11 Then I saw another beast coming up out of the earth, and he had two horns like a lamb and spoke like a dragon. 12 And he exercises all the authority of the first beast in his presence, and causes the earth and those who dwell in it to worship the first beast, whose deadly wound was healed. 13 He performs great signs, so that he even makes fire come down from heaven on the earth in the sight of men. 14 And he deceives those who dwell on the earth by those signs which he was granted to do in the sight of the beast, telling those who dwell on the earth to make an image to the beast who was wounded by the sword and lived. 15 He was granted power to give breath to the image of the beast, that the image of the beast should both speak and cause as many as would not worship the image of the beast to be killed (Revelation 13:1,2,11-15). Notice clearly that the two-horned beast (who is THE false prophet, cf. Revelation 19:20) gets people to worship THE FIRST beast, the ten-horned beast (with accompanying signs--that he does so in the presence of the FIRST BEAST--cf. 2 Thessalonians 2:9-10). Hence the two-horned beast is NOT putting himself above all gods or all worship as he has people worship the ten-horned beast--thus he does not meet the biblical criteria to be the man of sin. It also is the ten-horned beast who blasphemes, as he is also the blasphemous King of the North (Daniel 11:36-40). Hence the FACT is that the two-horned beast is NOT putting himself above all gods as he has people worship the ten-horned beast. And it is the ten-horned beast who is granted “great authority,” not the two-horned beast. There is simply no verse that says that the second beast gets the worship that the first one does. The false prophet clearly promotes false worship, as opposed to being the primary object of it himself. While popes have long let people kneel down before them, I have found no scriptures that indicate that the false prophet himself tries to make himself the ultimate/top object of worship. 2 Daniel spoke, saying, “I saw in my vision by night, and behold, the four winds of heaven were stirring up the Great Sea. For a time and times and half a time (Daniel 7:24-25). It is the ten-horned beast of the sea who speaks the pompous words against God, he is the one who exalts himself above all that is called God (2 Thessalonians 2:4). It is the Beast of the Sea that is exalting himself in his heart as is the man of sin in 2 Thessalonians 2:3-4. He is eliminated by non-human means in Revelation 17:14. Repeatedly, we see that the Beast exalts himself. The main references we have to the False Prophet show him getting people to exalt the Beast of the Earth, not himself. 9 Then a third angel followed them, saying with a loud voice, "If anyone worships the beast and his image, and receives his mark on his forehead or on his hand, 10 he himself shall also drink of the wine of the wrath of God, which is poured out full strength into the cup of His indignation (Revelation 14:9-10). 2 So the first went and poured out his bowl upon the earth, and a foul and loathsome sore came upon the men who had the mark of the beast and those who worshiped his image…10 Then the fifth angel poured out his bowl on the throne of the beast, and his kingdom became full of darkness; and they gnawed their tongues because of the pain (Revelation 16:2,10). Even if the image is related to the Catholic Church (which to a degree it is), notice that it is the Beast and HIS image and HIS kingdom that worship against is warned as opposed to mainly that of the false prophet. The beast is clearly above the false prophet and is the one that exalts himself above all that is called God. If we let the Bible interpret itself, it suggests, that the description in 2 Thessalonians 2:3-4 fits very closely to the first beast, the King of the North, and not nearly as closely the second beast, the false prophet. Notice that the harlot (the ecumenical and changed Church of Rome) is devoured at this time. This is one additional way that the first beast, the ten-horned beast does not regard the desire of women as Daniel 11: 37 mentions (with the harlot church symbolized by a woman in Revelation 17) and exalts himself above all that is called God. This destruction of the harlot also suggests that the man of sin, the son of perdition in 2 Thessalonians 2, is not the false prophet, but the ten-horned beast, and he and his supporters have the power and are taking actions on his behalf. However, since the false prophet is still alive at this destructive stage (Revelation 19:20), it appears that he either is a captive of the ten-horned beast or that he also betrays his church. But I strongly suspect the latter (as the second beast clearly promotes the worship of the first beast per Revelation 13:12)–he is complicit in the betrayal of the Church of Rome–which is another reason that I teach that the false prophet is a type of anti-pope. Perhaps it should be noted that outside of the Bible, we do not seem to have available early writings from true Church of God Christians that discuss the identity of the man of sin. What Did Early Christians Believe About the Man of Sin? Outside of the Bible, we do not seem to have available early writings from true Church of God Christians that discuss the identity of the man of sin. While Irenaeus had many misunderstandings, the fact that he also considered that the man of sin was a king (which would be the King of the North) is supportive of the idea that this seems to also have been the position of early true Christians. The truth about the identity of the man of sin is one that the CCOG has restored. A major difference between true Christians and others in the end time is that true Christians will be keeping the Ten Commandments. Lawless is to abound and less love. Less reverence for God’s commandments. Yet, the faithful that endure to the end will be saved. The man of sin is also called the "lawless one" in 2 Thessalonians 2:8). End time Christians keep the Ten Commandments (see also The Ten Commandments: The Decalogue, Christianity, and the Beast). These are not just “believing Jews” like some claim. With the man of sin Beast power, we see someone who opposes those who keep the Ten Commandments. The Bible provides support that the man of sin will violate all ten of the commandments (see also The Ten Commandments: The Decalogue, Christianity, and the Beast). This power will put himself above all gods. The king above is the King of the North, who is called the Beast “of the sea” in Revelation 13:1 and the “first beast” in Revelation 13:12. Idolatry is definitely a mark of the beast (though the Beast power may use symbols, like crosses, that many will consider acceptable). The ‘mark of the beast’ involves commandment breaking. 37 He shall regard neither the God of his fathers (Daniel 11:37). The Beast will participate in and promote spiritual adultery (cf. James 4:4; Ezekiel 23:37). The Beast will take land and precious items. People who do not have proper “love of the truth” will believe the lie (2 Thessalonians 2:12). A lie encouraged by ‘miracles’ (2 Thessalonians 2:8-11; Revelation 13:11-15), economic blackmail (Revelation 13:16-18), and persecution (Daniel 11:31-35; Revelation 13:7). The Beast is covetous of power and possessions and will devise plans to take what is not his. He even wants God’s power. The Beast will violate all of God’s Ten Commandments and expect his followers to do so as well. Scripture refers to the violation of each of the Ten Commandments as sin. e.g. : 1st 1 Samuel 15:24-25 ; 2nd Exodus 32:22-30; 3rd Job 2:9-10 (cf. Psalm 39:1); 4th Nehemiah 9:14, 28-29; 5th Luke 15:18 (NIV; cf. 1 Samuel 24:11); 6th Genesis 4:7; 7th Genesis 39:9; 8th Matthew 5:30 (cf. Genesis 31:30,36); 9th Deuteronomy 23:21; 10th Romans 7:17. Consider also that the Bible calls this commandment breaker “the man of sin … the son of perdition, who opposes and exalts himself above all that is called God or that is worshiped” (2 Thessalonians 2:3-4). See also our free online book: The Ten Commandments: The Decalogue, Christianity, and the Beast. One major difficulties for many to see "the man of sin/lawlessness" as the King of the North (First Beast) instead of the False Prophet, is because they seem to not connect the "lying wonders and SIGNS" to him as they clearly can to the "false prophet" in Revelation 13:13. 13 And I saw three unclean spirits like frogs coming out of the mouth of the dragon, out of the mouth of the beast, and out of the mouth of the false prophet. 14 For they are spirits of demons, PERFORMING SIGNS, which go out to the kings of the earth and of the whole world, to gather them to the battle of that great day of God Almighty. So now we have not only 2 Thessalonians 2:9 showing signs will accompany the 'man of sin,' but also Revelation 16:13-14 clearly showing that the BEAST literally performs SIGNS as well. In 2 Thessalonians 2:3 the man of sin is also called the son of perdition. Revelation 17 certainly supports the position that the ten-horned beast is the son of perdition. Those verses in Revelation 17 specifically tie the Beast of the sea with perdition. While Judas probably for a while thought he was a follower of Jesus, he also was deceptive and betrayed him. The Bible shows that both Judas, 'the son of perdition' that betrayed Jesus, and the King of the North, the 'son of perdition' who will betray basically the world both used deceptive tactics. The Bible shows that both attempt to prosper through deceitful words. The end time 'son of perdition' is the ten-horned Beast of Revelation 13 and the final King of the North of Daniel 11. Do Protestants and Catholics understand the identity of the man of sin? For example, there are various "Protestant" views, some of which are more right than others. Some Protestants, for example, wrongly believe the man of sin is the pope or is the papacy (https://www.christiancourier.com/articles/677-who-is-pauls-man-of-sin and http://www.end-times-prophecy.org/man-of-sin-revealed.html both retrieved 03/08/19). And while the final pope and Antichrist will promote the man of sin, the papacy, per se is not it. Radical Preterists (those who contend that all Bible prophecy, including the Second Coming of Christ, was fulfilled in the destruction of Jerusalem) argue that the Man of Sin was the “hardened, militant Jews (Zealots in particular)” (King, p 318). This theory would thus see the Man of Sin (Judaism) destroyed by the Coming of the Lord in the destruction of Jerusalem via the Romans in A.D. 70. (For more on preterists see the article The Dangerous Rise of Preterists; a related sermon video is also available: Preterism: You've Gotta Be Kidding...Right?). Millennialists (and some others) contend that the Man of Sin “is an individual embodying anti-God power who is still to arise before the future day of the Lord” (Mare, p. 1073). "Exalt himself and magnify himself above every god." Dan. 11:36,37. "So that he AS GOD sitteth in the Temple of God showing himself that he IS GOD." 2 Thess. 2:4. So, some Protestants correctly understand it is not the papacy, but someone like a political leader, the King of the North, but they also seem to consider him to be the final Antichrist, which is actually the false prophet (see also Some Doctrines of Antichrist). Verses 27----30. "And the heart of the two kings shall be to do evil, and they speak falsehood at one table, and they shall not prosper, because as yet the end is unto another time. And he shall return into his land with much riches." There is no doubt but what Antiochus did conclude a peace with Ptolemy and ate at the same table with him and devised plots against him, and yet without attaining any success thereby, since he did not obtain his kingdom but was driven out by Ptolemy's soldiers. But it cannot be proved from this set of facts that the statement of this Scripture was ever fulfilled by past history, namely that there were two kings whose hearts were deceitful and who inflicted evil upon each other. Actually, Ptolemy was a mere child of tender years and was taken in by Antiochus' fraud; how then could he have plotted evil against him? And so our party insist that all these things refer to the Antichrist and to the king of Egypt whom he has for the first time overcome...(Jerome. Commentary on Daniel, Chapter 11. Translated by Gleason L. Archer. (1958). http://www.tertullian.org/fathers/jerome_daniel_02_text.htm viewed 12/20/08). 63. And the blessed Apostle Paul, writing to the Thessalonians, says: "Now we beseech you, brethren, concerning the coming of our Lord Jesus Christ, and our gathering together at it, that you be not soon shaken in mind, or be troubled, neither by spirit, nor by word, nor by letters as from us, as that the day of the Lord is at hand. Let no man deceive you by any means; for (that day shall not come) except there come the falling away first, and that man of sin be revealed,"
(Hippolytus on Christ and Antichrist, verse 14 and part of verse 49. Translated by J.H. MacMahon. From Ante-Nicene Fathers, Vol. 5. Edited by Alexander Roberts, James Donaldson, and A. Cleveland Coxe. (Buffalo, NY: Christian Literature Publishing Co., 1886.). So, that is partially correct, but again the king here is not the one the Bible calls the final Antichrist. Although many of the Catholics and Orthodox understand that the man of sin is the King of the North, many fail to see that their 'Grand Monarch' is the King of the North (see also The Great Monarch: Biblical and Catholic Prophecies; two sermons of related interest are also available: Great Monarch: Messiah or False Christ? and Great Monarch in 50+ Beast Prophecies) (As far as the restrainer goes, check out the article What is Restrained and Who is Restraining in 2 Thessalonians 2:7?). So, while the Catholics partially understand, they get the timing off. So, unless they change, they will not recognize the man of sin as the man of sin. It is not likely that most Catholics or Protestants or Church of God Christians will understand the identity of the man of sin and take steps Jesus laid out (cf. Revelation 3) until it is too late. The understanding of the identify of the man of sin in 2 Thessalonians 2 is not merely an academic matter of doctrine as some believe it is. Actually, if certain non-biblical 'prophecies' are correct, the Philadelphia remnant of the Church of God must not misidentify the 'man of sin' as most COG and other groups seem want to do. There are Roman and Eastern Orthodox Catholic 'private prophecies' that say their leader, often referred to as the"Great Monarch" will come with signs and be confirmed by wonders (see also The Great Monarch: Biblical and Catholic Prophecies; two sermons of related interest are also available: Great Monarch: Messiah or False Christ? and Great Monarch in 50+ Beast Prophecies). Anonymou Paraphrasis (10th century): The one true King ... is destined to become manifest [be revealed] ... by means ... of signs ... The King will hear the voice and instructions by an Angel appearing to him ... he has foresight and is cognizant of the text of the prophecies ... the name of the King is hidden [concealed] among the nations ... And the particular manner of the king’s manifestation to the public [to the world] will take place as follows: A star will appear [will become visible] for three days long and during the third hour of the night, on the eve of the feast day of the Mother of the Most High (it will become visible) in the Middle of the City. And this star is not one among the planets ... And a herald speaking with a very loud voice in the course of the three days will summon and unveil the hoped for one ... There will become visible in the sky a ‘nebulous firmament of the sun’ ... under that image will be suspended a cross ... And the invisible herald from Heaven with his thunderous voice will say to the people: Is this man agreeable to you? At that moment everybody will be taken by fear and terror ... they will elevate him on a high spot and will proclaim him (their) hereditary Monarch (Tzima Otto, H. The Great Monarch and WWIII in Orthodox, Roman Catholic, and Scriptural Prophecies. Verenika Press, Rock City (SC), 2000, pp. 30, 31, 32, 50-51,52,53). The display of a cross associated with the Great Monarch (called the 'one true King' above), if it happens, will deceive people into following the Beast--the Bible warns that all the world will worship this Beast (Revelation 13:4,8) and most have not considered that a cross might be used by Satan. So, the above coming supposedly through a Marian apparition says that people will be led to understand something about a cross in the sky. But as the Bible does not foretell such an event as a good thing, this, presuming it happens, should be understood as coming from Satan. Crosses were not even symbols for early Christians (see What is the Origin of the Cross as a 'Christian' Symbol?). People will be deceived by claims, signs, and lying wonders, and some may well appear in the sky. Because the Continuing Church of God correctly knows the identity of the man of sin, it will be easier for us to explain to those who are willing to listen that if a 'cross' is a sign that identifies the Great Monarch that this is not referring to a man that God chose, but instead to one that Satan chose (see also the article Satan's Plan). Those who do not know who the 'man of sin' is will not realize that certain end time prophecies are being fulfilled when they are. Because they will not recognize him, they will not be able to properly warn their people nor the world what is happening. Those who do not know the identity of the man of sin are most likely not going to be protected from the hour of trial that is coming on the whole world. Jesus only promised to protect the true Philadelphians from that (Revelation 3:7-10) and not those who simply call themselves that (cf. Revelation 3:9). Most in the various COG groups do not know the proper identity of the man of sin. Since most Christians in the end are not truly part of the Philadelphia remnant of the Church of God, they will not be protected--but end up being subject to Satan's wrath per Revelation 12:17. Most are relying on improper tradition as opposed to what the Bible teaches. So, in summary, what does the word of God teach on the identity of the man of sin? He will be one to mysteriously promotes sin. He will promote violating all of the Ten Commandments (see also our free online book The Ten Commandments: The Decalogue, Christianity, and the Beast). The FACT is that the New Testament teaches that the man of sin "exalts himself above all that is called God or that is worshiped" (2 Thessalonians 2:4). The FACT is that the Old Testament teaches that the King of the North "shall exalt and magnify himself above every god" (Daniel 11:36). The FACT is that the New Testament specifically ties the beast with perdition in Revelation 17:8 & 17:11. The FACT is that the New Testament teaches that "All who dwell on the earth will worship" (Revelation 13:8) the first Beast, the ten-horned beast (Revelation 13:1). The FACT is that the New Testament teaches that the "man of sin ..., the son of perdition, ... exalts himself above all that is called God or that is worshiped" (2 Thessalonians 2:3-4), which eliminates the beast of the earth as he "causes the earth and those who dwell in it to worship the first beast" (Revelation 13:12). This worship is not directed towards the false prophet. Read those verses for yourself in your own Bible. Here is a link to a short YouTube video titled Who is the Man of Sin?